Grandmaster Vugar Gashimov from Azerbaijan is currently rated 2740 elo, which ranks him as 11th player on the world. He’s been in consistently good form in recent competitions and has a great chance to qualify for the World Championship candidate matches. Last week we heard the news that Vugar will advise Hollywood moviemakers on chess related scenes in the project under working title “The Knight”. On Friday, 24th July, Vugar celebrated his 23rd birthday and this was good opportunity to ask him a few questions. Chessdom: Hello Vugar, best wishes for happy birthday and thank you for accepting the interview. Looking back at this last year, how do you evaluate your chess results? Vugar Gashimov: Thank you for your wishes and I accepted the interview with great pleasure. It was a very successful year not only for my chess results, but also in the personal domain, particularly because of my return to the professional chess. Chessdom: You are doing very well in the FIDE Grand Prix and the World Cup will be held later this year. How do you estimate your chances to qualify for the candidate matches? Vugar Gashimov: I did miss a lot of opportunities during last two GP-s in Sochi and Elista, but anyway, I think that I have very good chance to qualify for the candidate matches both from Grand Prix series and from the World Cup. Chessdom: You are on the brink of entering the world’s top 10 players, are you now being invited to play more super-tournaments? 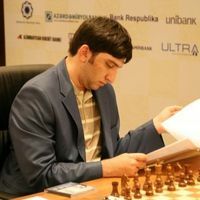 Vugar Gashimov: Unfortunately, I still don’t receive invitations from any of the super-tournaments, and I really want to hope that sometimes the organizers will be interested to invite some “new faces”. I’ve increased my ELO rating for 75 points since January 2008, which is when I returned to play professional chess. Chessdom: How do you prepare for the competitions? Do you have a coach or second? How much of the time do you have to dedicated to the ever growing opening theory? Chessdom: Azerbaijan has a great team composed of young, motivated players. Three of you are also among the world’s best Grandmasters. What is missing to finally put the puzzle together and win Olympiad medal? Vugar Gashimov: Unfortunately, nothing to comment here, I would just like to wish success to all members of our national team. Chessdom: What is your tournament schedule by the end of the year? European Club Cup – but everything is still in negotiations stage, so at this moment I’m not officially representing any club in the ECC. Next I will play with my national team in the European Team Chess Championship, after that there is the World Cup in Khanty-Mansiysk and then the last stage of FIDE Grand Prix series. Chessdom: Can you single out your most memorable game? Vugar Gashimov: I think that I have a lot of memorable games But the game against Alexander Grischuk in FIDE GP Baku stage is leading. 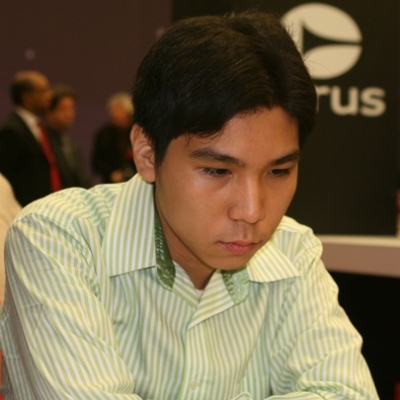 Wesley So, who at the age of 16 is the best rated player from Philippines and World’s 7th ranked junior, has kindly agreed to a brief email interview for Chessdom.com. Chessdom: Hello Wesley, thank you for accepting the interview. After the brilliant win at the Corus Chess Tournament you were mainly focused on playing in Asia tournaments. How do you evaluate your performance in recent months? Wesley So: As a whole, the recent results were not very good, especially in my last tournament in the Philippines. It is clear that I lack preparation and I have to find ways to improve. Chessdom: What has got you attracted to chess, how did you start playing? Wesley So: The educational aspect of chess attracts me. It is a learning experience: memory, pattern recognition, decision making and reinforcement. I started playing when I was six years old with my father. Then, later on, with my neighbours. Chessdom: According to a recent article on Inquirer.net, chess is the most popular game in your country. Are you provided with support for coaching, travel and tournament invitations? Wesley So: I don’t think chess is very popular in our country, but I have support from our federation, just sufficient for travel and tournament invitations. Chessdom: You have many supporters in Philippines and across the globe. Does this affect your play or attitude? Is it helping your motivation? Wesley So: Yes, of course. It is always nice to know many people are watching my game, and probably inspires me to play better. But during my tournament, I do not want to think about this. Chessdom: Who are you working with and how do you prepare for competitions? Wesley So: I am working by myself right now, or you can say with the computers, which is very useful nowadays. I prepare for the competitions by studying some openings and some of my games. Chessdom: What are your expectations from the first participation in SPICE Cup? Wesley So: I am not really sure. It will be my first double-round robin tournament, so I do not know what to expect. I will try to play well there. Chessdom: What is your tournament schedule in the following months? 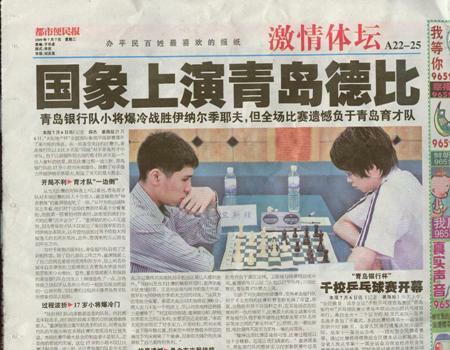 Wesley So: Most likely it will be SPICE CUP, and probably a few games in Chinese League (see attached newspaper from China, I was invited twice already). World Juniors also. Chessdom: When you don’t play chess, what are your favourite leisure activities? Wesley So: At present, the usual activities are surfing the net, reading some books and exercising in my treadmill. I don’t usually like going outdoors. Wesley So: My game against Ni Hua in Olympiad which was my first win against a 2700 player. Chessdom: Thank you for your time. We wish you all the best in your future career. Wesley So: Thank you too. 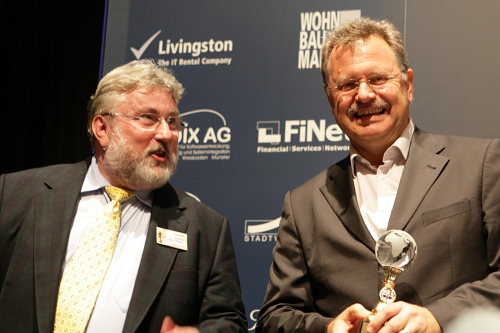 Wolfgang Kögler is CEO of the ORDIX AG, 16 year sponsor of the Chess Classic Mainz and the company giving the Rapid Open its name. A successful cooperation, which will again bring hundreds of chessplayers from 27th July to 3rd August to Mainz to visit the Chess Classic and to play in the ORDIX Open, the world’s biggest and strongest chess tournament, which will take place 1st and 2nd August. Harry Schaack spoke with the businessman about parallels between chess and business, commitment, service and a high class product. HARRY SCHAACK: Mr. Kögler, allow me to start with a somewhat provocative question: We are in the middle of one of the most difficult financial crises of the last hundred years, yet ORDIX continues to support the Chess Classic in Mainz, the world’s biggest and strongest open chess tournament. Do you have too much money? WOLFGANG KÖGLER: No, definitely not. But one year ago I promised to support the tournament and I will keep this promise. Today, I would probably decide somewhat differently. Q: ORDIX is an independent software and consulting company, which offers service, training, and products such as relational databases for UNIX, Linux and Windows. Has the IT business been spared from the crisis? A: The crisis first of all affected the motor industry and its suppliers and the machine building industry. We happen to have only few contacts to these fields. Unlike others we are thus fortunately not that much affected. Our order situation is still okay. If I wanted to be heretical, I might add: because we work for banks, which were bailed out by the government. And the banks do not stop their IT-projects, because these projects are too important. Q: But the climate has changed. A: That’s right. But this development began a couple of years ago. It has nothing to do with the crisis. A while ago you could still rely on handshake-agreements, but nowadays even contracts are not always kept or they are „improved“ afterwards. Q: A couple of months ago World Champion Vishy Anand was invited to the World Economic Forum in Davos to talk with leading scientists and other authorities about economics. Where do you see similarities between chess, economics or your field? A: One should not take the comparison too far. But competitive sports – and I think chess is one – and economics do indeed have things in common. To successfully lead a company is a kind of competitive sport. Chess focuses on the individual, but in a company things depend on teamwork. Even though a strong personality at the top is not bad, in a company interaction is more important. Q: Can business learn something from chess? A: Well, I wished some managers would think as much as chessplayers (laughs). Q: You have been supporting the ORDIX Open since 1994, for 16 years your company has been an established part of the Chess Classic. You are the only sponsor who supported the tournament from the very start. Which connection do you see between sponsoring and consistency? A: In general, consistency is something which distinguishes us. In the work with our customers we are very steady, which in itself signalizes reliability. This approach to our work obviously is reflected in our long term support of the ORDIX Open. Short term commitments are not what we are looking for. Q: You saw the continuous growth of the event. With 762 participants the ORDIX Open 2007 was the world’s biggest open tournament ever. What does this success mean to you? A: Such things make you happy. I do not know whether there’s potential for further growth. However, this is not the primary goal of our sponsoring. It is a huge tournament, people from many countries come to Mainz and all over the world people hear about the ORDIX Open. That is fantastic, but this success is not only due to the money we give, but also due to the efforts of the Chess Tigers team organizing the event. The joy of the volunteers transpires to the entire event. Q: In contrast to patronage, sponsoring is an investment for which a company expects some value in return. What did ORDIX get from the Chess Classic? A: We did not have a concrete, measurable benefit. However, our support is pretty clear and straightforward and this is no absolute must. We wanted to establish a brand and to make the name of ORDIX better known in an environment, in which not only IT-people move. We hope that maybe the one or the other wants to find out more about ORDIX and about what our company does. Which in turn might yield results. A: Yes. I like to give money to fields, where I feel my contribution might change something. For me, it is more satisfying to get a direct feedback from the person I gave the money to. And I can more easily see what is done with it. In minority sports I can also more easily support amateur sport and junior sport, which are dear to me. Q: Recently, you even increased your support for the Chess Classic. This year will be the third, in which you support the Mini-ORDIX Open. A: When Hans-Walter Schmitt asked, whether I would like to support the Mini-Open as well, I immediately agreed. He just hit a nerve. I always look forward to this tournament. Q: By now, the world’s best players come to Mainz to play in the ORDIX Open. As prizes are scaled, even relatively weak players can win unusually high prizes in their rating-class. How do you see the relation between amateurs and professionals? A: It is good that we offer something for everyone. But the top level chess is necessary to attract the many others. I think every amateur is happy to have an opportunity to play against the top players. Q: Does this ratio of mass and class work in business? A: While there is a good ratio of professionals and amateurs in the ORDIX there are too many amateurs in business. The „class“ should actually have prevented a crisis such as we have now. Unfortunately, too many just look for short term profit. Q: You are a regular visitor of the Gourmet Club of the Chess Classic. Do you also invite your customers to this club? A: Yes, for instance last year. I like it there: the rooms are dignified, grandmasters explain the games in entertaining fashion, and there is good food and good wine. Q: You also play chess yourself, even though you have little time for it. Did you ever play in a club? A: No, I never did. At university I used to play regularly for some time. I know the rules and if a commentator explains the characteristics of the position I can even follow the high-class games well. The computer evaluations, now common at the Chess Classic, also help a lot. Q: An important aspect of your work is customer orientation. If you look at the Chess Classic: what does service mean in chess? A: The Chess Classic is a great event. It offers so much. Not only to chessplayers but to whole families. You can leave the „little ones“ in the children’s club where a number of educators take care of them. This allows you to focus on the games. The Gourmet Club is also to my taste, because I like good food. Another advantage of this festival might be that the games reach their crucial point quickly and you thus see a lot of highlights. This is certainly very attractive for visitors. The Chess Classic is a quick-decision-event – another parallel to our IT-business. In IT, slow people won’t get far. Q: Are you also interested in top level chess apart from the Chess Classic? A: I am generally interested in sports and I follow the top chess events, last year, for instance, the World Championship in Bonn or the Olympiad in Dresden. Q: Do you have personal contacts to the top players who regularly play in Mainz? A: Yes, but only in connection to the Chess Classic. 16 years ago Hans-Walter Schmitt introduced Vishy Anand to me and said that this one could really go far. To be honest, at that time I was rather skeptical. However, I see things differently now (laughs). At the opening ceremony, the Champions Diner, I once sat at a table with Vladimir Kramnik and we had a very entertaining conversation. I enjoy contact with the top players on such occasions. Q: How do you and the ORDIX staff follow the Open? A: One or two members of our staff played in the Open and in the simultaneous event. They were rather taken with it. We also publish regular reports on our website. Q: You know the Chess Classic from the very beginning. This successful festival is also a business product, which has adapted to changed times and circumstances. What do you think distinguishes this product? And what were the most important innovations of the tournament? A: The most important innovation was to move from Frankfurt to Mainz. The ambience of the Rheingoldhalle by far surpasses everything the tournament had in Frankfurt. Since then the event had a fixed place and surrounding. This was not the case in Frankfurt. I think this is good for the whole event. Being close to the Rhine and downtown Mainz is also attractive. I would even say: if the event had not moved to Mainz, it might no longer exist by now. Q: You mainly started to sponsor the Chess Classic because the organizer Hans-Walter Schmitt had been a long time acquaintance of you. What is the secret of a 16 year long cooperation? A: It simply worked. Two people, who others might occasionally be somewhat uncomfortable with, met. The chemistry between us was simply right. Q: If you look back to the 16 years: what were your personal highlights? 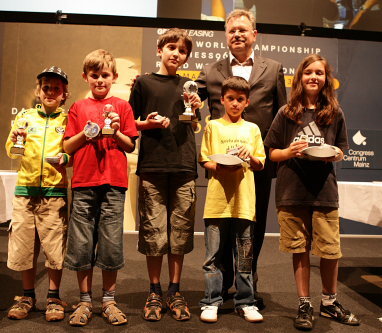 A: A personal highlight was the winning ceremony of the Mini-ORDIX Open, where I gave the prizes to the winners. It was moving to see how the sometimes very small children stumbled on stage. Moreover, I think it’s satisfying that we increased our value for the event over the years. We have never been the biggest sponsor. But some other sponsors no longer exist today or they quickly stopped their commitment because they had no long-term concept. Grandmaster Teimour Radjabov recently competed at the Kings tournament in Bazna, Romania, where he finished on shared third place. Radjabov spoke to Day.az about this event and upcoming tournaments. Day.az: You were the top-seeded player at the Bazna Kings, but in the end you shared third place. How do you evaluate this result? Teimour Radjabov: Yes, I was the highest rated, but there was only a slight difference between me and the remaining participants, and let’s not forget who were my opponents. 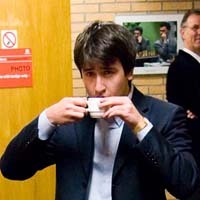 Vassily Ivanchuk – winner of countless super-tournaments; Alexei Shirov – a convincing winner of the recent Grand Slam in Sofia; Boris Gelfand – winner of the World Rapid Cup 2009; American Grandmaster Gata Kamsky – winner of the last World Cup, who recently played a World Championship challenger match with Veselin Topalov; finally, the most experienced Romanian player Liviu-Dieter Nisipianu, who has the title of European chess champion in 2005. It is not by coincidence that the name of the tournament had “Kings” in it. I would say that my result was normal. There were many intense and exciting games. At least on two occasions I was very close to winning. Day.az: In which games you missed to score wins? Teimour Radjabov: Against Shirov and Gelfand I had positions that with precise play could have brought me full points. Day.az: FIDE has recently announced the rules for selection of candidates in the world championship cycle. How difficult will it be to obtain a seat for the matches? Teimour Radjabov: I don’t know yet. I didn’t think about the FIDE rules. There are rules and I play in accordance with them. What is the point of the endless discussion? Many of them, in my opinion, are far from perfect, but on the other hand FIDE is working on the process of selection, the cycle for the world championship is ongoing, and this is good for chess. Day.az: Does that mean that your top priority will now become Grand Prix and World Cup? Teimour Radjabov: It was supposed to be like that anyway. Frankly, there is again some confusion with the calendar. The two most difficult and most important tournaments are almost overlapping. Grand Prix will start only a couple of days after the World Cup and the playing venue for the last phase is yet to be determined.